Ah those little turns in the road! Great story. I was amazed when I heard it. 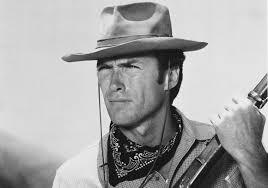 If I was his brother I would have avoided all Clint Eastwood movies after that. Sometimes, you just have to ask yourself……”do you feel lucky?” Or is it just fate? Or, do you feel unlucky? i’m a Peter O’Toole fan myself. I initially laughed when I saw that Clint wanted to Direct. I’m not laughing now. A lot of actors want to direct. Not many of them can do it.